In the past few weeks, there have been multiple cyber thefts targeting individuals who were making expensive purchases. Two of the incidents specifically targeted members making real-estate transactions, during which cyber-criminals impersonated the victims’ business associates, provided wiring instructions and successfully convinced the victims to direct large sums of money into the thieves’ accounts. Though there does not appear to be any connection between the incidents, and while this may not indicate a criminal trend, we want to help you protect your assets from such a threat. For example, we strongly encourage you to always confirm payment instructions by phone with someone you know on the seller’s team before sending any money. Click here for more protection tips. 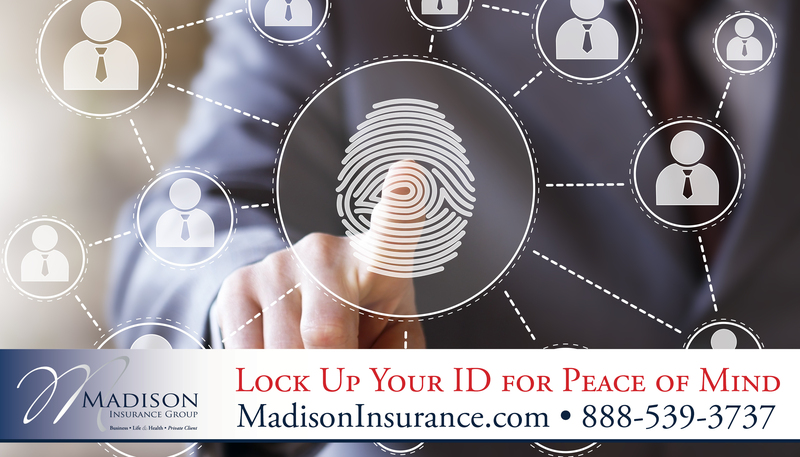 At Madison, we offer cyber and identify fraud protection. Contact one of our agents to learn more about the coverage that’s right for you and your business. 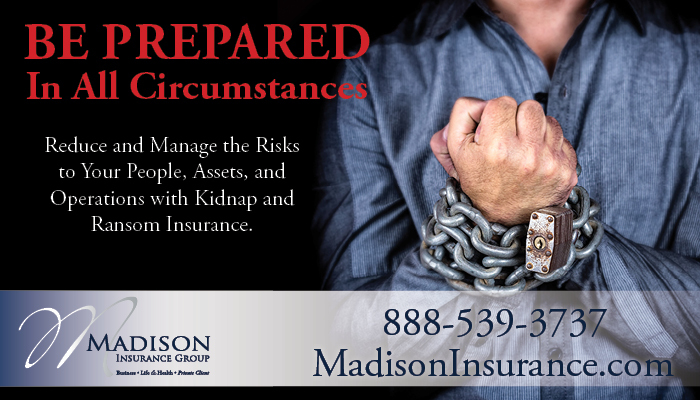 For more information, go to http://www.madisoninsurance.com/insurance/corporate/cyber-liability/. Identity fraud is a growing problem. 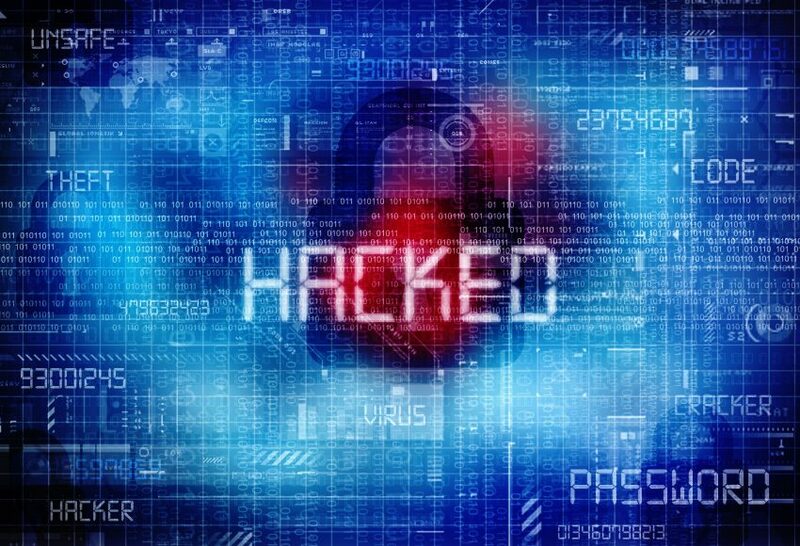 Researchers estimate a total of $16 billion was stolen from 15.4 million U.S. consumers in 2016. In fact, in the past six years identity thieves have stolen over $107 billion. Javelin Strategy & Research. 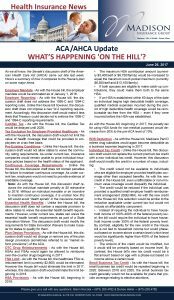 Are You Currently in the New Jersey Assigned Risk Workers’ Compensation Plan? 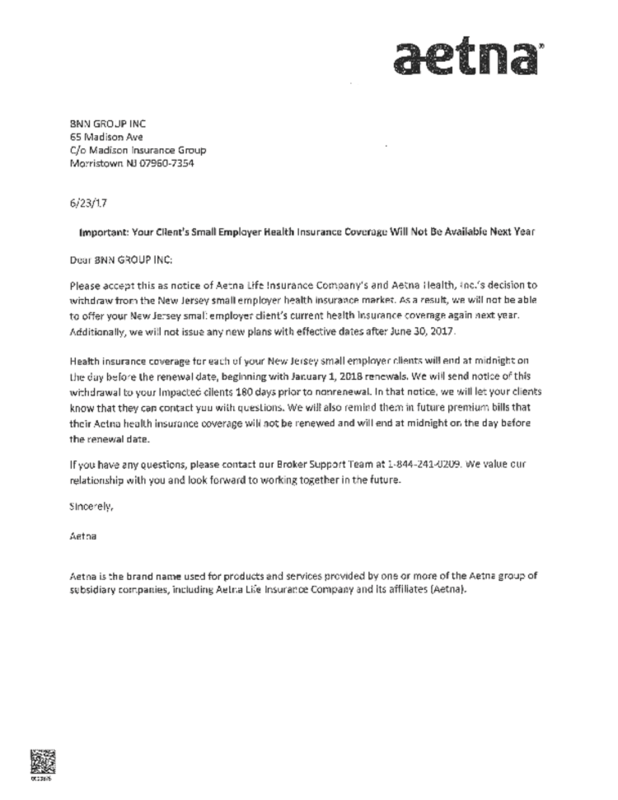 Have you recently been placed in the NJ High Risk State Pool? Has your broker presented a cost saving solution to control spiraling costs or explored alternative markets? If you’re unhappy with your broker’s service, then we are the right fit for you! 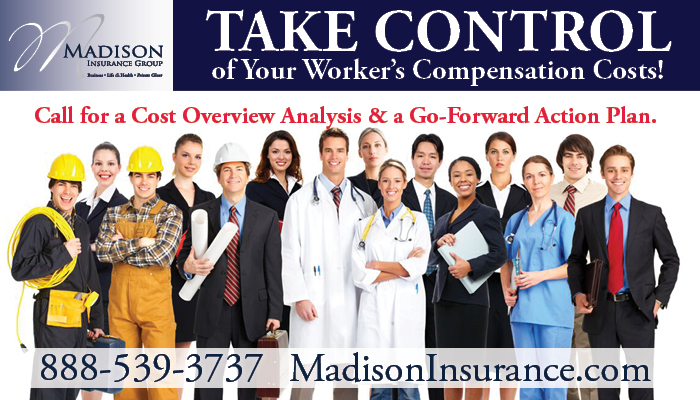 Take Control of Your Worker’s Compensation Costs!Call us directly at 973-200-6928 for a Cost Overview Analysis and a Go-Forward Action Plan. Don’t wait until a cyber breach happens. 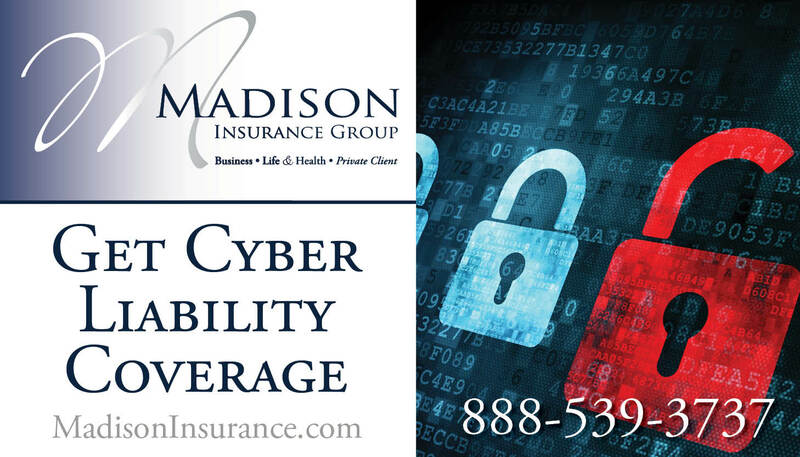 With Cyber Liability Insurance you can be prepared today. Private jet ownership has its perks. After all, you can fly to your destination without the hassles of typical airline flight. However, this type of asset may not fit into traditional insurance portfolio leaving possible gaps in coverage. 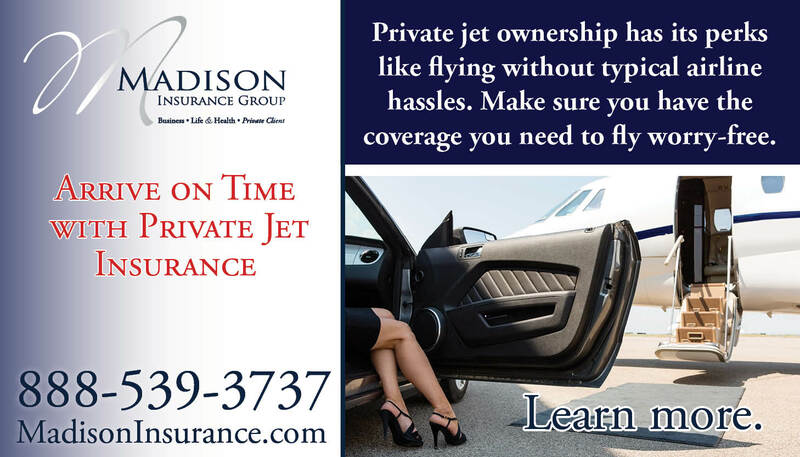 At Madison Insurance, we will work with you to build a portfolio that includes jet ownership coverage, customized for you. We offer a comprehensive range of coverage options for personal and corporate aircraft. Through the month of June, we are focusing on safety topics impacting people in both the occupational and non-occupational environments. The fourth topic in our series focuses on ergonomics. About 80% of the U.S. population will experience back pain issues at some point in their lives, and 31 million people will experience lower-back pain at any given time? Most of these causes are not because of serious underlying conditions, but from actions like an improper lifting technique, etc. The National Safety Council has offered several tips to prevent strains, dislocations and muscle tears. Stretch and warm up before you perform any lifting. Keep your back straight and bend your knees – NEVER twist or bend your back. Stand on solid ground with your feet shoulder-width apart. Keep the box or object close to your body. Limit the amount of weight you carry – separate boxes or make two trips instead of carrying more than you can handle. Ask for help to carry heavy, bulky or large loads. Keep pathways clear of tripping hazards. Chairs have proper lumbar and arm support, and can be adjusted for height. Feet are flat on the ground or a footrest. The viewing distance from your eyes to the monitor is at least 18 inches. Your keyboard and mouse are at approximately elbow height. Lighting is sufficient enough that you don’t have to strain, but not too bright where glare is an issue. To take short breaks. Look away from your screen every 15 minutes, take microbreaks in between bursts of heavy typing and don’t forget to take a rest break every 30 to 60 minutes. Get out of your chair, stretch and move around. By making ergonomics part of your routine at work and at home, you can keep your body free of strain and pain. We hope you enjoyed these helpful tips throughout the month. 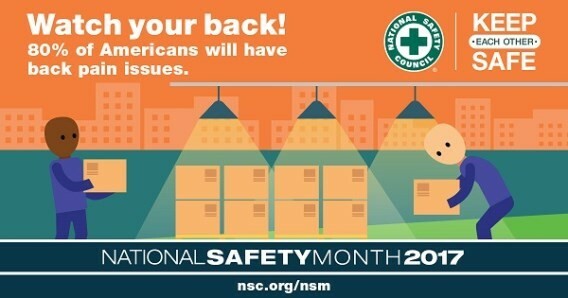 Through the month of June, we are focusing on safety topics impacting people in both the occupational and non-occupational environments. The third topic in our series focuses on how to respond to an active shooter situation. Active shooters can appear in public places such as movie theaters and shopping malls or in private workplaces. No matter where you are, remain as calm as possible. Be aware of any possible danger in your environment. If you can flee, do so immediately – leave belongings behind. 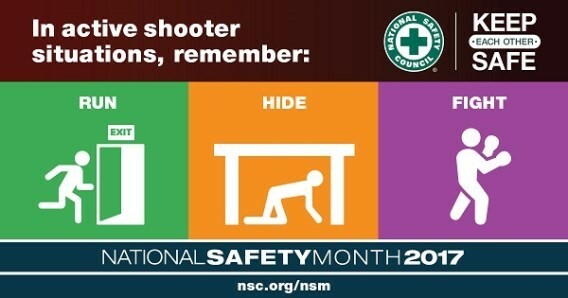 If you cannot flee, hide in an area where the shooter can’t see you. To the best of your ability, be prepared to provide 911 and law enforcement with your location, the number of shooters, physical description of the shooter(s), the number and type of weapons used by the shooter(s) and the number of potential victims. When law enforcement arrives, remain calm and follow all instructions. Keep your hands raised, visible and free of any objects. Evacuate the area quickly – do not stop law enforcement to ask questions or for help. Facing an active shooter can be unimaginable, but being prepared might save your life. Remember to stay alert and as calm as possible. Try to run first, hide if you cannot flee safely and fight only when you have no other choice. Stay tuned! Next week we’ll be talking about Ergonomics. Thank you and Stay Safe!